These lavender cookies are refreshingly delicious & super simple to make. Perfect for picnics, bake sales, or to share with friends, just add the cookies to a gift bag & secure with a little ribbon. * If you would rather use fresh lavender take 2 sprigs of English lavender & remove the leaves. Add the leaves to the caster sugar & mix together in a food processor. 1. Add the lavender & softened butter to a mixing bowl & beat well together with a wooden soon. This helps release the flavour of the lavender. 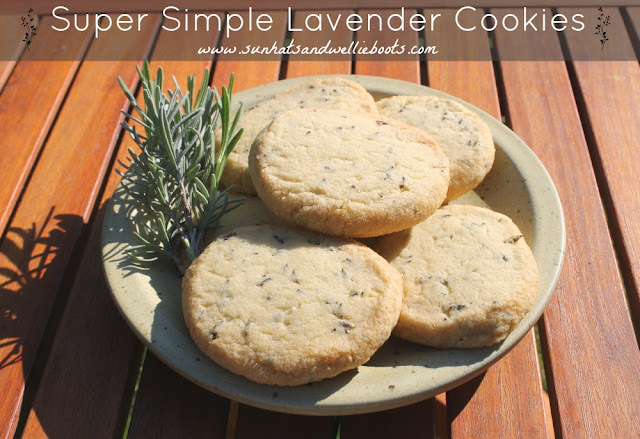 (If you would prefer a smooth texture to your cookie add the lavender flowers & sugar to a food processor & blend together rather than beating with the butter). 2. Add the sugar to the butter mixture & beat again. 3. Sift the flour into the bowl & mix together with the other ingredients to form a dough. 4. Turn the dough onto a lightly floured surface & knead with your hands until the dough is smooth. 5. Roll into a sausage shape approx 20cm long, cover with clingfilm & leave in the fridge for 1-2 hours to chill. When the dough is firm remove from fridge. 6. Place the dough on a lightly floured surface & remove the clingfilm. Cut the roll of dough into slices (it should cut into 10-15 slices, just depends how thick you'd like the cookies) & dust with a little sugar. 7. Place the cookies on a greased baking tray & bake in the oven (160°C or 140°C is using a fan oven) for 10-12 mins until golden. 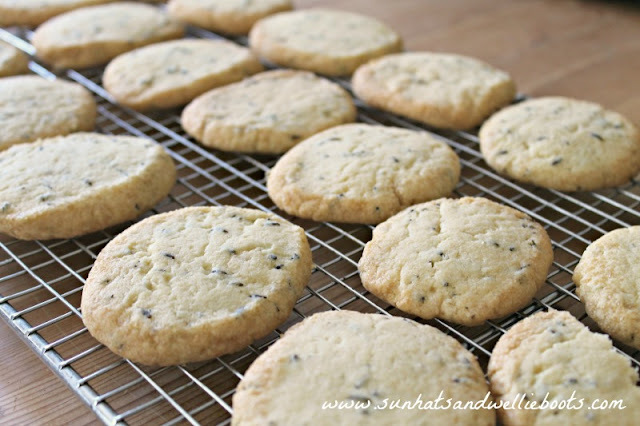 These tasty lavender treats will keep fresh for a week if stored in an airtight container, & can also be frozen once completely cooled. To me they taste of Summer & make a perfect accompaniment to a well deserved afternoon cuppa. Enjoy!